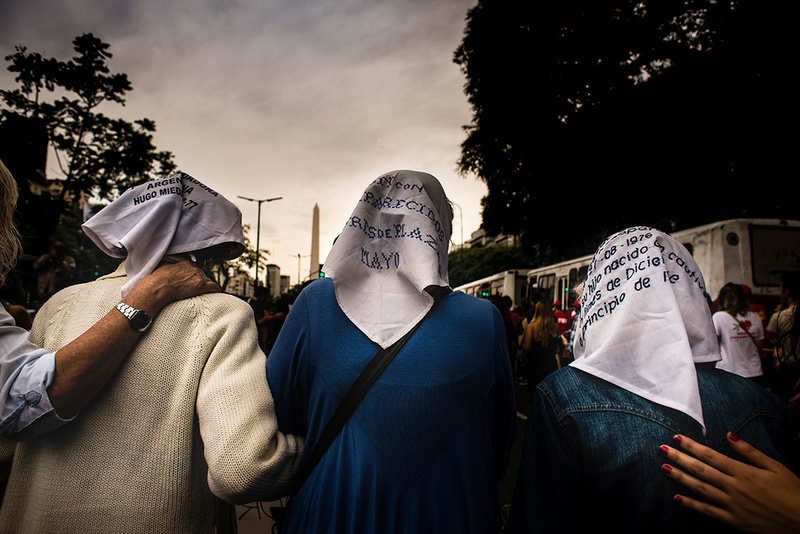 On Saturday, just as on every March 24, hundreds of thousands of people gathered in Buenos Aires and every major city in Argentina to rally in memory of the 30,000 victims of the military dictatorship in Argentina. “Where are they?” the protesters demanded. March 24 is the anniversary of the 1976 coup that overthrew Isabel Perón and installed a junta, which then murdered an entire generation of dissidents and leftists. On this anniversary, of one of the bloodiest episodes in the history of this country, Argentinians are calling for a change in the legislation that would allow the children of those who were involved in human rights abuses to testify against their parents. This will help the families of the victims find out what happened to their murdered and disappeared relatives. 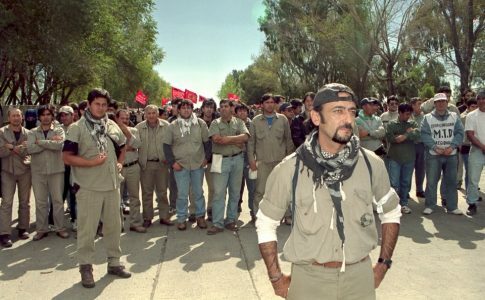 The dictatorship functioned as a part of “Operation Condor,” a clandestine operation started by the CIA and aimed at the elimination of any opponents of neoliberalism in South and Central America. Secretary of State Henry Kissinger famously told the military regime, which called itself “National Reorganization Process,” in 1976: “The quicker you succeed, the better,” as he gave direct American support for the assassination of anyone suspected of “Marxist subversion.” On this “Day of Remembrance for Truth and Justice,” Argentinians mobilized to seek justice for the countless numbers of trade unionists, student activists, peasant leaders, priests and nuns, teachers, and intellectuals, all of whom were tortured and killed during the dictatorship. 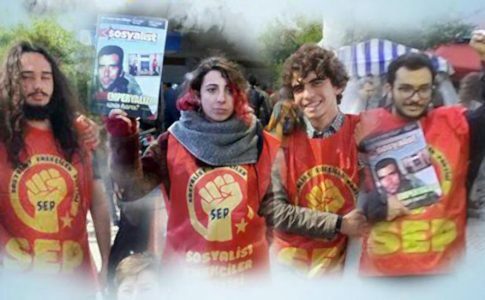 The demands included the call for an end to continued state terror and police assassinations. Since Mauricio Macri became president of Argentina, there has been an open offensive against leftists and activists. Just last year, there have been several cases of police shooting civilians and then being defended by the government. Minister of Security Patricia Bullrich has apparently instructed judges to accept police stories as truth. This is referred to as the “Chocobar Doctrine,” named after police officer Luis Chocobar who murdered an already wounded and defenseless man. Chocobar was declared by Macri to be a hero. Last November, a Mapuche man was shot in the back by federal forces in an eviction “operation,” and in August, Santiago Maldonado was disappeared by the Gendarmerie. Typically there are two marches, one called by Kirchner’s party and the other by the “Encuentro Memoria Verdad y Justicia,” a group of independent organizations that work coordinated. 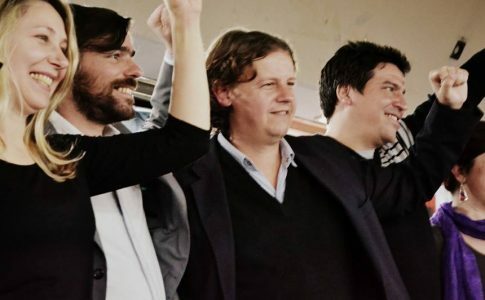 This year, the Kirchnerists called for a united march in an attempt to monopolize the opposition to the government and create an “anti-Macri front.” However, this means they have to paper over the contradictions in their politics and their own collusion with former perpetrators, such as in 2013 when Cristina Kirchner appointed Cesar Milani, a participant in the coup, as chief of the military. She also refused to open the debate over abortion law, which the women’s movement has once more put on the national agenda in Argentina, and to which even Macri responded. 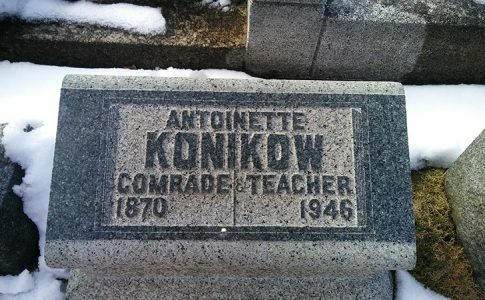 To make matters worse, the Kirchnerists are increasingly aligning themselves with the Pope, who is not only against abortion but has also been denounced as an accomplice of the military by the “Madres de Plaza de Mayo,” an association of mothers of the disappeared, who have been organizing marches since 1977 to protest against state terror. Refusing to be co-opted by the Kirchnerists, the “Encuentro” called for an independent march to denounce “yesterday’s and today’s impunity.” The organizations that make up the Encuentro do not want their mobilizations to be instrumentalized in drumming up support for a liberal government in the lead-up to the electoral battle in 2019. They know that the fight for “truth and justice” is about demanding an end not only to police brutality but also to the economic violence of the austerity measures implemented by the Macri government. 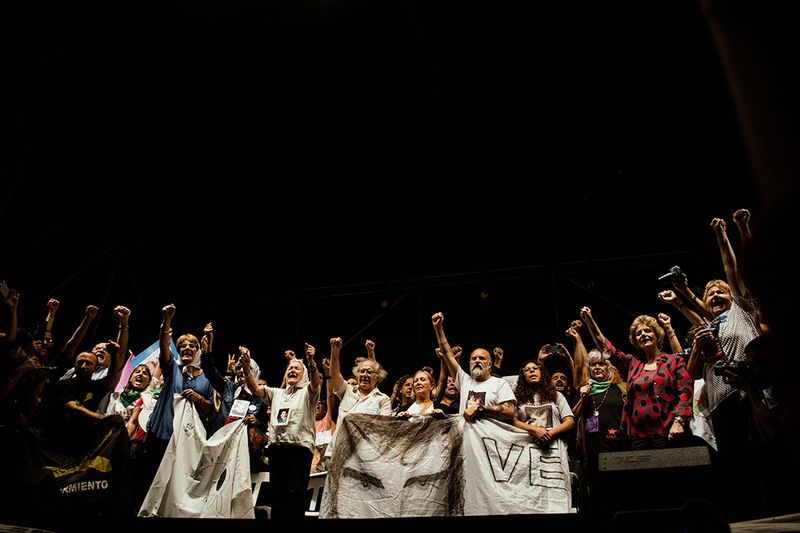 The speeches held at the Plaza de Mayo made it clear that March 24 is about remembering the victims of the dictatorship and their families — and about convicting their torturers and murderers — as much as it is about resisting the brutal economic program of Macri and his party and about amplifying the voices of the people who marched last December against the pension reform and on March 8. 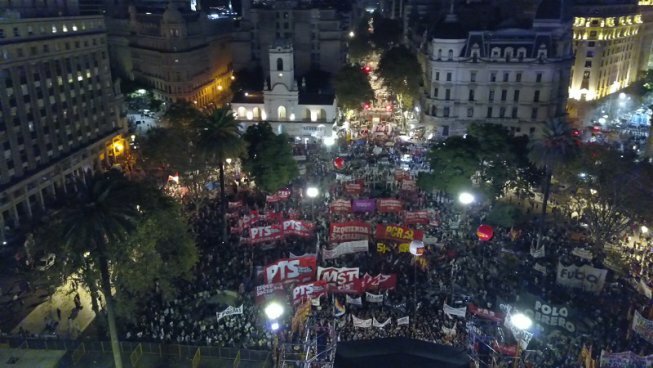 Every year on March 24, the marches in Buenos Aires are massive, revealing the continuation of a long tradition of struggle for human rights and workers’ rights in Argentina. Macri’s right wing offensive is part of the plan to break with this tradition and reconcile Argentinian society with the military, but this has little chance of success. In a demonstration of internationalism and a way to keep alive the memory of the fight against Plan Condor, state crimes, and oppression in Brazil, protesters are also demanding an end to the military intervention in Rio de Janeiro ordered by Temer’s government. The 30.000 people disappeared by the dictatorship live in the struggle of the thousands that take the streets every year.